For the first two days we were their only guests so we had the place to ourselves. We braved the (unheated!) pool and had a wander around the woodland paths, then enjoyed a glass of wine on our own covered rustic terrace. There was British TV so we didn't miss our Eastenders fix, and a DVD player - I took along 3 unwatched films and enjoyed 2 of them on the rainy Wednesday afternoon. The owners offered a great service - if we left an order form and the cash in a carrier by their house, they brought us fresh baguette and excellent croissants early next morning. Croissants for breakfast then... a treat for us. Before summer guests arrive to stay in our gite, we took the opportunity to go and stay in someone's else's. A few days near Sarlat-la-Canéda in the Dordogne départment, about two and a half hours' drive south. Le Petit Gite turned out to be cosy and romantic, clean and beautifully decorated, with hearts and flowers and a welcome basket of bread, cheese, biscuits and wine. 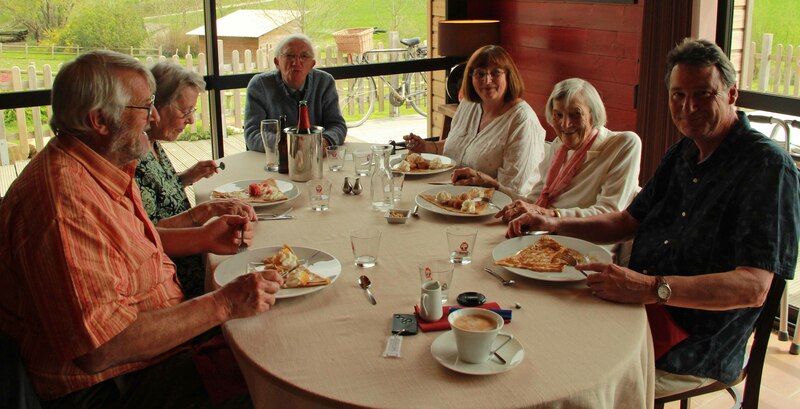 The location is fabulous, even quieter than our place, surrounded by hills and trees, with an immaculately kept village of gites just down the hill. 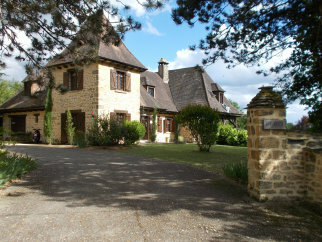 I can recommend this place - a great base for excursions around the Dordogne.